WE ALSO ARRANGE OFFICE SPACE FOR YOU! WE ORGANISE THE PERFECT CANDIDATE FOR YOU! 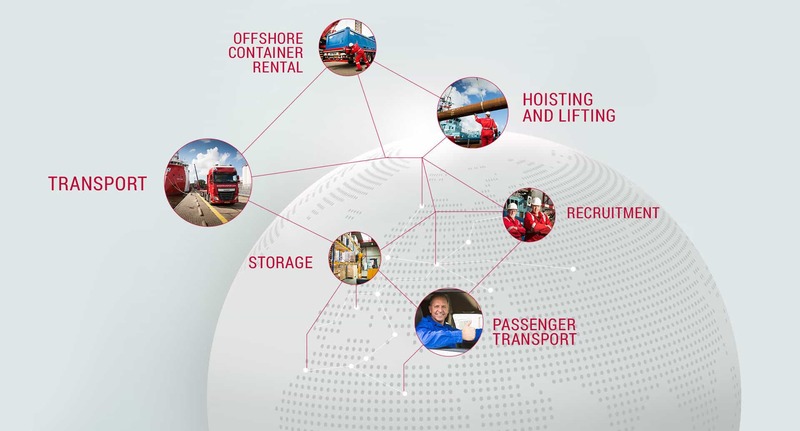 Boon Oil & Gas Services is your logistic partner of European proportions. Every day you see our red trucks on the road. Our capacity for cargo combination is almost without bounds. If you are looking for storage for your goods or for office space, Boon Oil & Gas Services provides the ideal solution. In IJmuiden and Emmen. Boon Oil & Gas Service is the right address for the rental of offshore containers that comply with all NOGEPA standards. Top-quality, ready for immediate delivery. For a professional performance of hoisting and lifting Boon Oil & Gas Services is always available on call! No project is too big when it comes to lifting and transporting. Boon Oil & Gas Services also provides temporary personnel. All our drivers comply with the stringent ‘Boon standards’. We provide a transport solution for all your staff and customers, whether it be an individual or a group. Their safety is our concern!